The Little Red School House, located at 519 South Palmetto Avenue, is Sanford's oldest standing building. Seminole County bought the land for the two-room school from the Florida Land and Colonization Company. Officially called East Side Primary, the building was constructed in 1883. Professor Coiner of Emory College in Oxford, Georgia, and Angie Tucker of Sanford, Florida, were the first two teachers at the Little Red School House. The building served as the first school house for Sanford's students, until the construction of Sanford Grammar School in 1902. Carrie Ensminger, daughter of Jefferson Clay Ensminger, and future educator, attended school here in 1893. She is pictured farthest to the right on the third row. The building was remodeled numerous times until World War II, when it became a nursery school. Since the 1960sn, the building has been used as a center for Headstart, a soup kitchen, an arts center, and a treatment facility for women with drug addiction issues. In 1995, the City of Sanford acquired the building from the Seminole County School Board. Sanford donated it to the Tajiri School for Performing Arts and Academics, founded by Patricia Merritt-Whatley, in 1998. 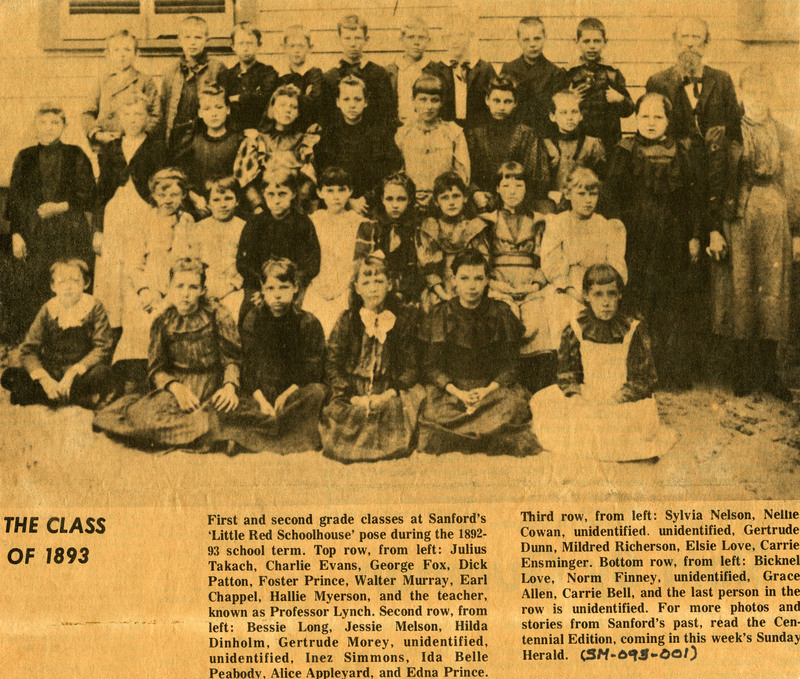 Original newspaper article: The Sanford Herald: Photographic Collection, box 3, folder Education--Sanford Public Schools, General Collection, UCF Public History Center, Sanford, Florida. Original newspaper article: The Sanford Herald. Digital reproduction of original newspaper article: The Sanford Herald. Photographic Collection, box 3, folder Education--Sanford Public Schools, General Collection, UCF Public History Center, Sanford, Florida. General Photographic Collection, Student Museum and UCF Public History Center Collection, Sanford Collection, Seminole County Collection, RICHES of Central Florida. "The Little Red School House." Parks and Preservation, Seminole County Government. http://www.seminolecountyfl.gov/departments-services/leisure-services/parks-recreation/museum-of-seminole-county-history/about-the-museum-of-seminole-county-hi/museum-resources-historical-informatio/historical-photos.stml. Comas, Martin E. "Sanford hopes to give new life to historic Little Red Schoolhouse: City seeks ideas for using 129-year-old building." The Orlando Sentinel, December 25, 2012. http://articles.orlandosentinel.com/2012-12-25/news/os-sanford-little-red-schoolhouse-20121225_1_historic-buildings-sanford-historic-trust-soup-kitchen. 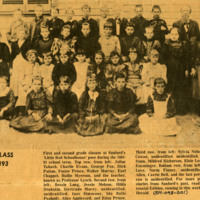 “Students at the Little Red School House.” RICHES of Central Florida accessed April 20, 2019, https://richesmi.cah.ucf.edu/omeka/items/show/865.